The 1996 candle is a collector’s edition available in a 240g size for £60. Image, info, quotes and notes via Byredo. Posted in Byredo, Home Fragrance, Smelly News and tagged 1996, Amber, Byredo, Candle, Home Fragrance, Inez & Vinoodh, Inez van Lamsweerde and Vinoodh Matadin, Limited Edition, Smelly News. Bookmark the permalink. Well, looks like I’m gonna have to get this beauty as long as it smells the same as the fragrance. 1996 is one of my favourite perfumes . 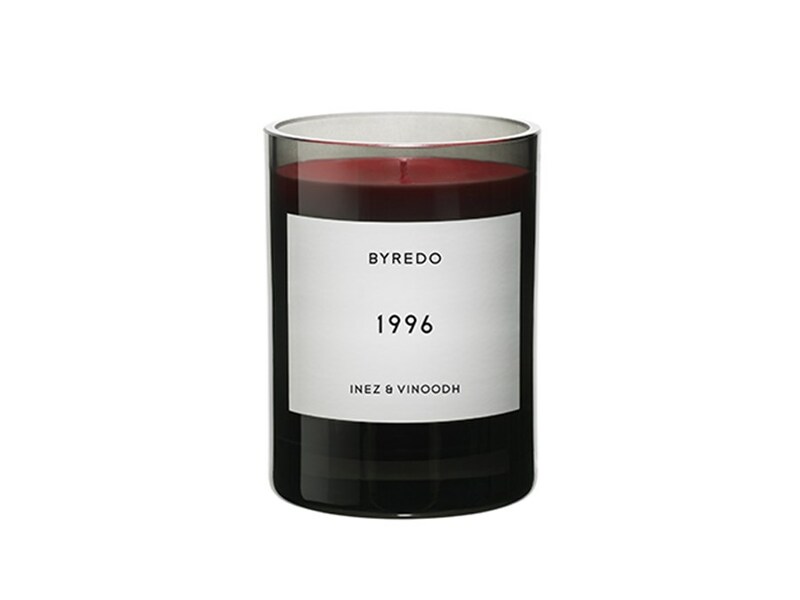 I did have a sniff of some of Byredo’s candles over Christmas and remember thinking that their Cardamome candle smelt like 1996. I’m with you there, the candle is on my wish list too. I’d like to try their Cardamome candle too. I love cardamom.